Spotwish Go! 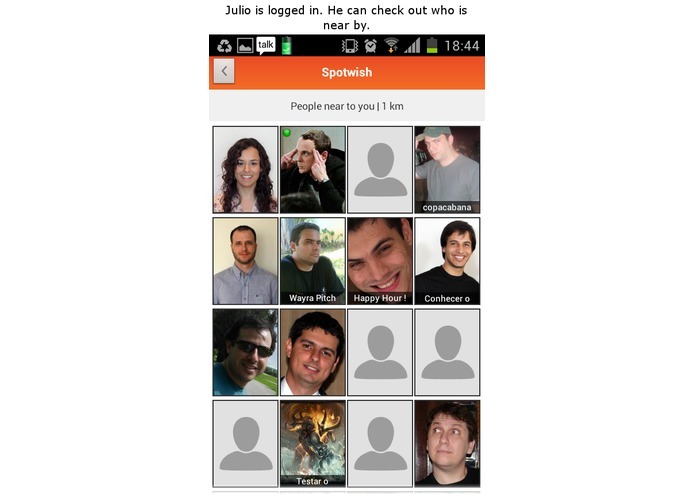 is a feature that integrates Evernote to Spotwish (the recommendation platform based on personal interests and geolocalization). 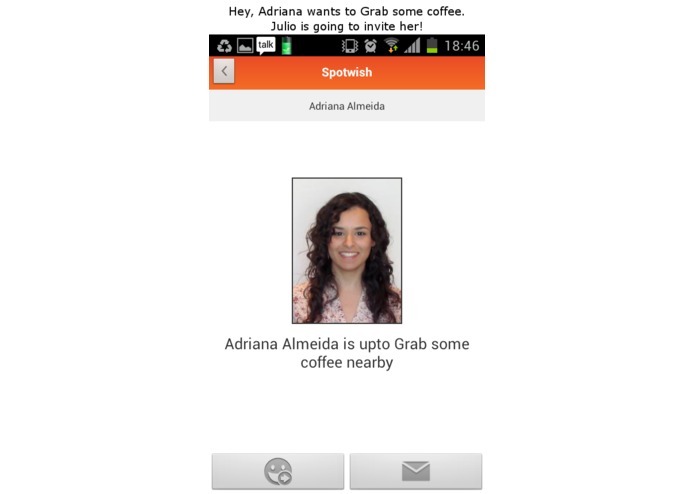 Using the mobile app, a user can be invited by friends nearby to go out, while also sharing contents during and after their activity. The user simply states what she wants to do, like for example "pizza" or "basketball", and Spotwish will broadcast her intent to all her friends nearby. 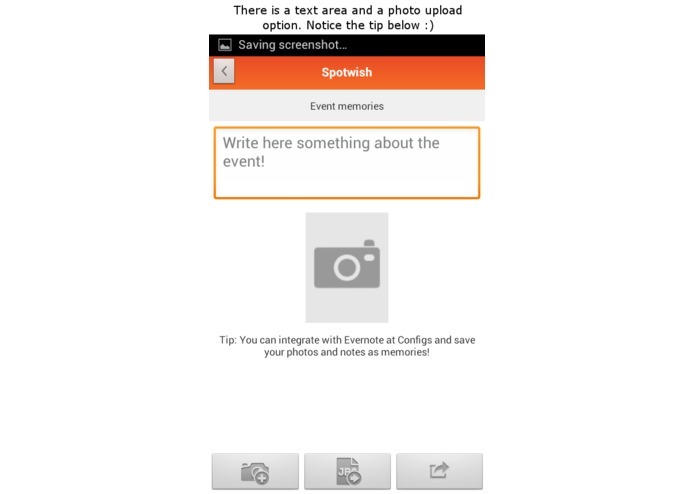 After going out and having some fun, Spotwish allows the users to share pictures and comments related to the event, such that every content is also copied to their individual Evernote accounts, also identified by geolocation. Later on, when walking around the city, if a user walks nearby a place when she met her friends, Spotwish will notify it as a "memory", so the user can enjoy seeing the pictures and comments, keeping alive the memories of the time they went out together. 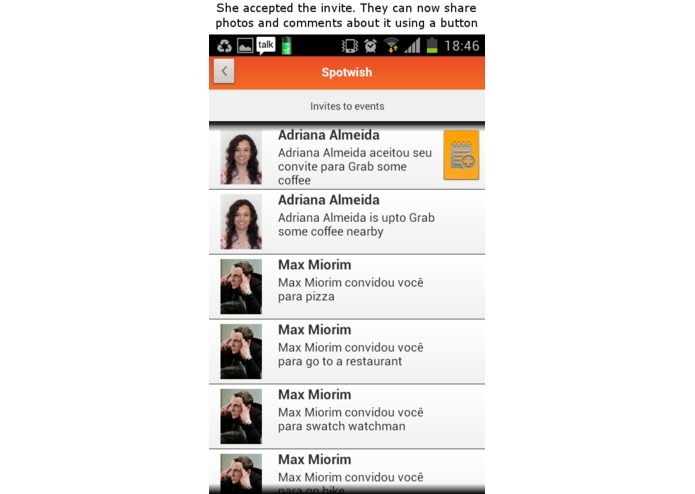 Spotwish is currently available for Android versions 2.2 and up.